Cairngorm Capital Partners acquires the leading timber merchant, Arnold Laver & Co Limited. It joins Cairngorm Capital’s other timber brands, Thornbridge, North Yorkshire Timber and Rembrand to create the largest independent timber business in the UK, with combined revenues approaching GBP 250 million, which will be known collectively as The National Timber Group. 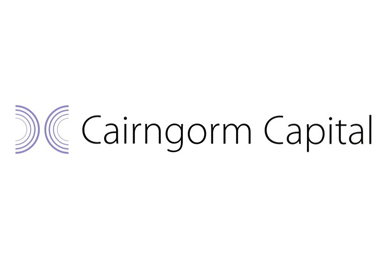 This acquisition is Cairngorm Capital’s 16th proprietary acquisition since July 2016 and the next step in its buy and build strategy to create The National Timber Group. The Group was formed with the aim of consolidating the highly fragmented specialist UK timber merchant market. In less than 12 months Cairngorm Capital has established a market leading timber business, with a national presence extending from the north of Scotland to London and the South West. The new enlarged Group, which consists of 52 sites and over 1300 employees, is led by Rob Barclay, Group Chief Executive, who joined the Group in June. The Group has three divisions: a Scottish division that is headquarted in Grangemouth and led by Alex McLeod, who joined the Group as Managing Director, Scotland, in September; one comprising the Arnold Laver brand, headquarted in Sheffield and led by the Arnold Laver management team and a third, comprising the North Yorkshire timber brand and headquartered in Northallerton, is led by Nick Kershaw, Managing Director. With strong, highly trusted regional brands, each of the underlying companies will retain their existing trading names. Arnold Laver is a family run company established in 1920. It imports, distributes and manufactures a wide range of timber, panels, decorative surfaces and joinery products, serving public and private sector construction, house-building and commercial companies.